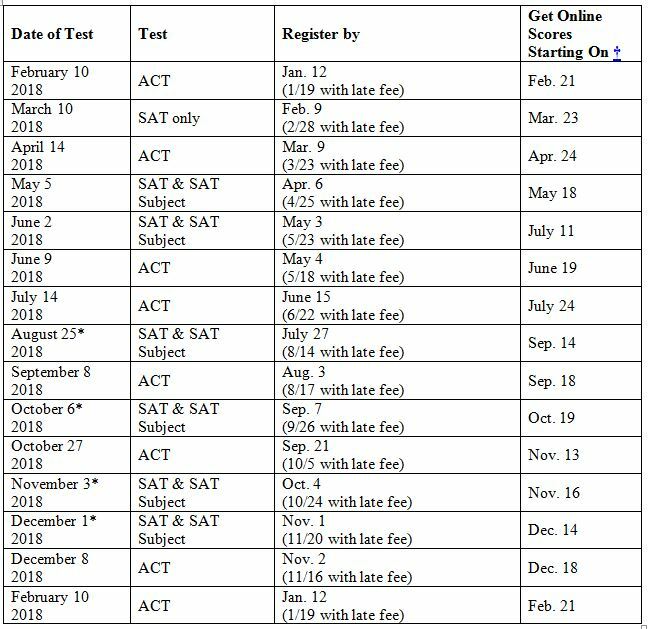 We offer an overview of upcoming ACT and SAT test dates, registration deadlines, and score release dates. 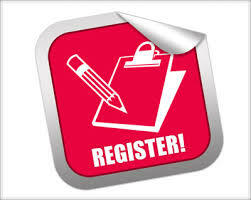 The smarter way to prepare for standardized tests. Socrato’s test performance reporting service provides insight beyond practice scores. It enables students, teachers, and tutoring organizations to develop personalized learning strategies that work best for them. 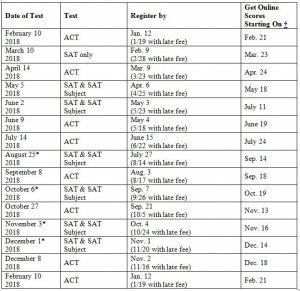 † Online SAT and ACT scores are commonly released over the course of several days.